China’s economic clout, combined with the sheer size of its broader investment universe, suggest it merits equal billing with standalone markets like Japan when it comes to global asset allocation. But, as an investment opportunity China has proved a tough nut to crack. In the past, foreign access to onshore markets was notoriously difficult, while persistent volatility and heavy-handed regulation discouraged many investors. The landscape is changing. As China opens its doors ever wider to foreigners and onshore assets appear, albeit in miniscule portions, in widely followed indices, investors will be forced to sit up and take notice. The opportunities for exposure to China will naturally widen to encompass stocks and bonds listed on mainland exchanges, in addition to the more widely available and liquid assets listed in Hong Kong, the US and the Asian US dollar bond market. 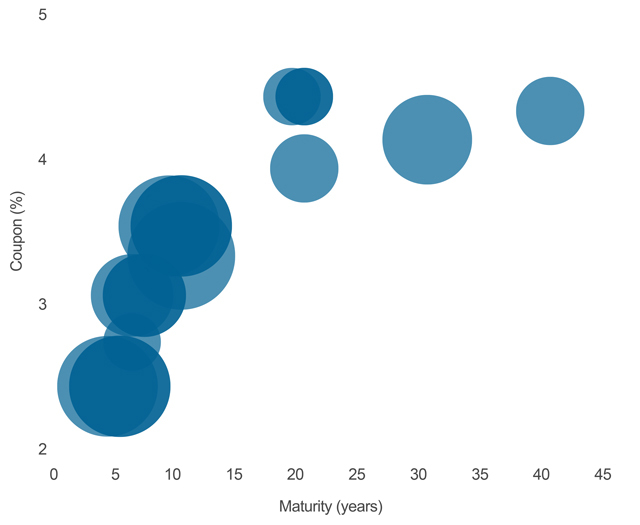 Immature and somewhat inefficient, onshore markets are fertile ground for active managers. However, index inclusion will beckon increasing numbers of ETFs and index-tracking strategies too. And this, in turn, will support the market’s evolution. China is still far from a risk-free proposition; it’s an emerging market after all. However, the scale and variety of its investment universe mean a well-considered allocation to China, differentiated from existing strategies, could provide a valuable building block in a balanced portfolio. At some point in the process of portfolio construction, most investors would stop and consider how they should allocate across key economies and regions like the US, the EU, Japan or emerging markets in order to reach their investment objectives. Is China just part of Asia or does it warrant the same level of standalone attention? Glance at the numbers and you’d be inclined to say it would. Almost 20 per cent of the world’s population call China home: around 1.4 billion potential consumers, with steadily increasing incomes. Its GDP is more than $9 trillion putting it second behind the US. Increasingly, China helps drive the world’s economy; it’s expected to contribute more than 35 per cent to global growth between 2017 and 2019, compared to a contribution of less than 18 per cent from the US. Meanwhile, Japan’s annual output of just over $5 trillion is expected to add just 1.5 per cent to global growth over the same period. Source: Fidelity International, Bloomberg, March 2018. But China isn’t just growing fast, the dynamics of its economy are distinct from its peers across the rest of Asia and broader emerging markets. This implies a potential for diversification that could prove useful to those hoping to optimise global portfolios. On the face of it, the depth and breadth of China’s investment universe is as compelling as the macro picture. The relatively young onshore bond market is already one of the largest in the world, at almost $12 trillion, while Chinese issuers comprise just under half of Asia’s $800 billion US dollar bond market. The Shanghai and Shenzhen equity exchanges trade the A-shares of around 3,500 companies, with a combined market cap of more than US$8 trillion Source: Stock Market Clock (already eclipsing Japan: the market cap of the 2,000 or so companies listed on the Tokyo exchange is $5 trillion). And that’s before accounting for the hundreds of mainland companies listed on offshore exchanges in Hong Kong, Taiwan, London, Singapore or the US, including corporate behemoths like Alibaba and Tencent. If all of China’s on and offshore equities were included in MSCI’s indices, it would represent roughly 42 per cent of the emerging markets index. 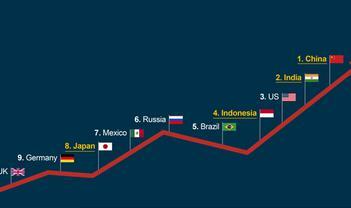 For Asia ex-Japan, China would rise to almost 55 per cent of the index. However, full inclusion won’t happen any time soon. While China’s economic clout is indisputable - global assets shiver when its economy catches a cold - this is not yet the case for its capital markets. They remain tightly-controlled and sometimes opaque, particularly for outsiders unfamiliar with the territory. Meanwhile, it’s still not all that easy for global investors to get access to the full breadth of investment opportunities, nor gain the depth of knowledge required to weed out the winners. And this is perhaps the crux of why China has not been afforded an outsized role in global asset allocation. The perception that it is too difficult to navigate and the environment too uncertain has acted as a ready deterrent for many investors. This is changing as the mainland opens its arms ever wider to foreign inflows. While onshore markets in particular are rich with stock-picking opportunities, MSCI’s inclusion of A-shares in its indices mean exposure through ETFs and other passive strategies will become an increasingly viable option. And capital markets will naturally mature on the back of this. Ultimately, investors who don’t start paying attention to China now risk being caught on the back foot. China retains typical traits of an emerging economy, including restrictions on capital flows, immature markets prone to sentiment-driven volatility, and the ever-present prospect of government intervention alongside the usual macroeconomic and sector-specific risks. China’s excessive debt growth, while already in the sights of authorities, remains problematic and could dampen the prospects for some banks and other financial companies. Meanwhile, simmering trade tensions between China and the US are likely to cause periodic swings in global risk appetites, and could have potential longer-term implications for affected mainland industries. A key advantage of broader emerging market or Asia-focused strategies, as opposed to a pure country fund, is the dilution of idiosyncratic risk. Here, an allocation is spread across opportunities within various industries and across multiple countries, either actively selected by experts with in-depth knowledge of each constituent market, or through index-tracking strategies. Most emerging market funds will provide varying degrees of exposure to China - preferably via a mix of H-shares, US-listed securities, and A-shares - while also capitalising on the growth opportunities across a range of other developing nations at different stages in their economic evolution. Similarly, taking a regional view - via an Asia-Pacific strategy, for instance - would introduce elements of China to a portfolio, but temper it with exposure to some of the less volatile established markets on offer in developed economies. By design, the broad-brush approach can only ever provide a small sample of each of its constituent areas of coverage. Managers, particularly in equities, generally focus on a market’s top 50 or so names, often larger players with some international exposure in industries like oil and gas or financials. Which, for China at least, means missing out on some of the sizeable growth opportunities further down the market cap ladder, as well as the more domestically-focused businesses that are capitalising on the rising wealth of the country’s consumers. In investing parlance, China has become synonymous with growth, for good reason. Its economy has accelerated by more than 6 per cent a year Source: Trading Economics for more than two decades. Moreover, the government-mandated pivot towards innovation and technology, through programmes like Made in China 2025, has cast a spotlight on opportunities across a swathe of industries and sectors, from the internet to robotics to pharmaceuticals. There are many compelling ideas hidden amid the multitude of smaller A-shares, as well as among H-shares and US-listed Chinese firms, particularly in the tech, healthcare and education sectors. The best vehicles for gaining exposure here are strategies with a pure China focus, backed by a solid local research presence and proven track record. Meanwhile, investors with views on particular growth drivers or tactical plays around specific policies or reforms, could look at high-conviction or thematic strategies. For instance, those that provide exposure to firms that could benefit from One Belt One Road, or businesses geared towards China’s powerful and growing consumer class. Consider the sportswear manufacturer Li Ning which vies with global brands like Adidas and Nike through competitive pricing and the ability to adapt nimbly to evolving domestic trends. Loyalty to homegrown brands and products can be a powerful growth driver; particularly so in China considering the vast size of addressable markets. Liquor-maker Kweichow Moutai derives almost all of its sales domestically and benefits from its heritage status as China’s best known producer of baijiu, the ubiquitous Chinese grain alcohol often quaffed at banquets. Elsewhere, some investment vehicles provide access to unlisted mainland companies with huge capacity for growth, particularly in emerging high-tech industries. The associated risks are higher: lack of liquidity and inexperienced, concentrated ownership to name just two. However, some of these firms are more well-known than their listed counterparts. For instance, Shenzhen-based DJI is the market leader in the consumer drone space, commanding around 70 per cent market share globally Source: Skylogic Research, Drone Market Sector Report, 2017, while taxi booking app Didi Chuxing, which facilitates some 25 million rides a day, received $5 billion in funding from Softbank Source: Techcrunch last year. Growth is far from the only game in China. In fixed income, investors can get exposure to a broad and diverse range of Chinese debt through the Asian offshore US dollar bond market; the offshore renminbi (CNH) bond market; or the Chinese onshore CNY bond market, although it’s not a market to venture into unguided. Asia’s liquid offshore bond market blends both the high spread, high return attributes of emerging markets with the lower volatility of developed markets. This remains the primary vehicle for exposure to mainland corporate debt and covers the whole gamut of risk/reward profiles, from investment grade all the way through to non-rated high yield. You can even pick and choose exposure within a single company, according to your investment objectives. Alibaba, for instance, offers fifteen different investable bonds in the offshore US dollar market, each of which behaves differently according to maturity and yield. In this way, investors can pick their spots depending on their appetite for factors such as volatility, duration and capital upside. Source: Fidelity International, Bloomberg, March 2018. Reference in this document to specific securities should not be construed as a recommendation to buy or sell these securities, but is included for the purposes of illustration only. Investors should also note that the views expressed may no longer be current and may have already been acted upon by Fidelity International. Third party trademark, copyright and other intellectual property rights are, and remain, the property of their respective owners. The Asian offshore USD bond market is priced off the US Treasury curve. So, as well as paying attention to the fundamentals of specific securities and the macroeconomic climate of home markets, Federal Reserve sentiment and the path of US interest rates matter, too. The stronger yuan and a clamp-down on borrowing in China amid the battle against excessive debt have compelled more mainland firms to head offshore for funding. Meanwhile, China’s flourishing multi-trillion dollar onshore bond market barely existed a decade ago. However, through a series of structural reforms - including the implementation of an interest rate corridor which allows for the more efficient transmission of monetary policy, as well as moves to transform the RMB into a more international trade-weighted currency - China has laid solid foundations for a healthy, well-functioning debt capital market. It’s a work in progress. While China’s onshore government bonds are growing in popularity (foreign participation is 5 per cent, compared to 2 per cent for the onshore market as a whole) Fidelity International, J.P. Morgan, Hong Kong Exchanges and Clearing Limited, as of December 2017. due to both their decent performance and diversification benefits, corporate bonds remain a trickier sell. The futures market is still immature, which makes managing interest rate risk both difficult and expensive. Furthermore, local ratings don’t correspond to international standards. While onshore credit differentiation is improving, the lack of diversification in ratings doesn’t reflect the rather sizeable divergence in how companies are managed and the risks they present to investors. All of which means foreign investors remain wary, and the market somewhat illiquid. However, it is evolving rapidly and, similar to equities, index inclusion in widely-tracked bond indices (earmarked for 2019) will only hasten the market’s maturation. Source: Fidelity International, China Bond, Wind, December 2017. Any discussion on the merits of allocating to China wouldn’t be complete without emphasizing its role as a diversifier. One of the key attractions of onshore government bonds, for example, is their almost zero correlation to any other asset, due to capital flow restrictions and different fundamental drivers. China A-shares, particularly those with a primarily domestic focus, also exhibit attractively low correlations to global assets: the Shenzhen Composite index is among the least correlated of all major global indices to the S&P500, at around 0.08. Alain Bokobza, SocGen cross-asset strategist via MSCI: Meaningful Scepticism Concerning Indices, John Authers, Financial Times, 16 May, 2018. While this is likely to become less pronounced over time, as capital flows pick up on the back of rising investor interest, exposure to China could help reduce a portfolio’s overall risk and volatility. To the uninitiated, investing in China might still appear intimidating, despite the compelling statistics. It’s far from a risk-free proposition; wider access to onshore markets has some way to go and it remains a difficult environment to navigate. China needn’t be included in portfolios as a matter of course, without first being evaluated against broader investment objectives, as well as existing exposures. If a strategy already includes an allocation to emerging markets or Asia, for example, any further exposure to China specifically should be deliberate and considered to avoid duplication. Ultimately, decisions on allocation should be driven by whether they add value commensurate with the risks. A measured approach seems sensible for now. Yet, what happens in China resonates on a global scale - politically, economically and in capital markets. And it isn’t going anywhere. Claiming its own seat at the investment allocation table is only a matter of time. Regardless of the space it might be currently afforded in global portfolios, it’s always worth keeping one eye on the mainland.